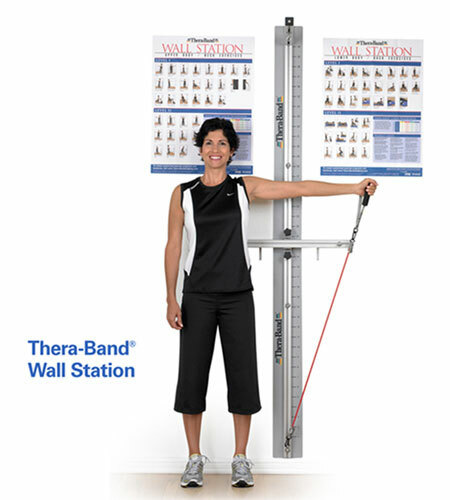 Hogan Osteo Plus have recently invested in a revolutionary Theraband Wall Station, exercise balls, stability trainers and a range of motion products to aid our clients rehabilitation from injury. 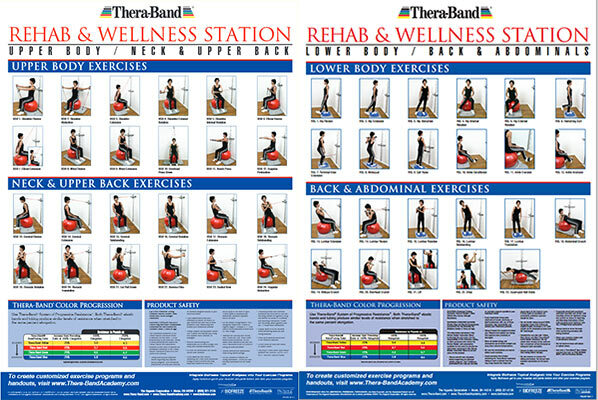 The Theraband Wall Station is the first compact, total body rehabilitation system designed for in-clinic strength training, featuring familiar colours and resistance levels of Theraband clip-connect tubing.This comprehensive rehabilitation system for upper and lower extremities features a multidimensional design with three planes of movement to teach patients the same proven Theraband system of progression they will use at home. The use of this room is available to all of our clients at no extra cost, and has a range of exercise balls and stability trainers available for use as well. The exercise room is also a nice place to stretch and relax, and the floor is fitted out with a firm but comfortable matting. You are welcome to come in and try out this equipment during business hours.